As you probably noticed, last week there were some general grumbles about blackberries and the system going down for a few days. This obviously wasn’t the best timing for them as it coincided with the launch of the new iPhone and the sad death of Steve Jobs, driving those who were undecided firmly into the apple camp. Glitches or no glitches. It also got me thinking, why on earth is technology named after fruit? Something as highly functioning and complicated as computers and phones seems in direct contrast with the humble simplicity of fruit, no? Anyhow, after all this negative press i decided to get back to the roots of things, back in the word where apple and blackberries are the best of friends and nowhere is this more obvious than in the crumble. It’s getting to that time of year when things like crumbles almost become a necessity to ward off the cold, and with friends coming over for dinner, it seemed like the perfect opportunity to whack one out. This is so easy and so quick so no excuses from anyone on this one please. 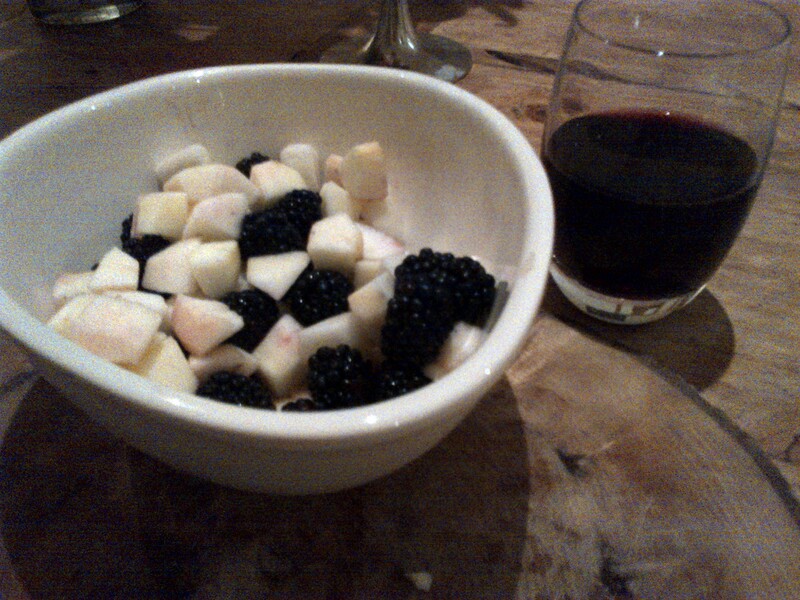 First up, peel and core your apples and chop them into chunks about the same size as the blackberries. Toss them in a bowl together along with the sugar and red wine and give it a shake up. Next up, for the topping, put all the dry ingredients in a bowl. Cut the cold butter into cubes and rub it into the dry ingredients like you would do with pastry. 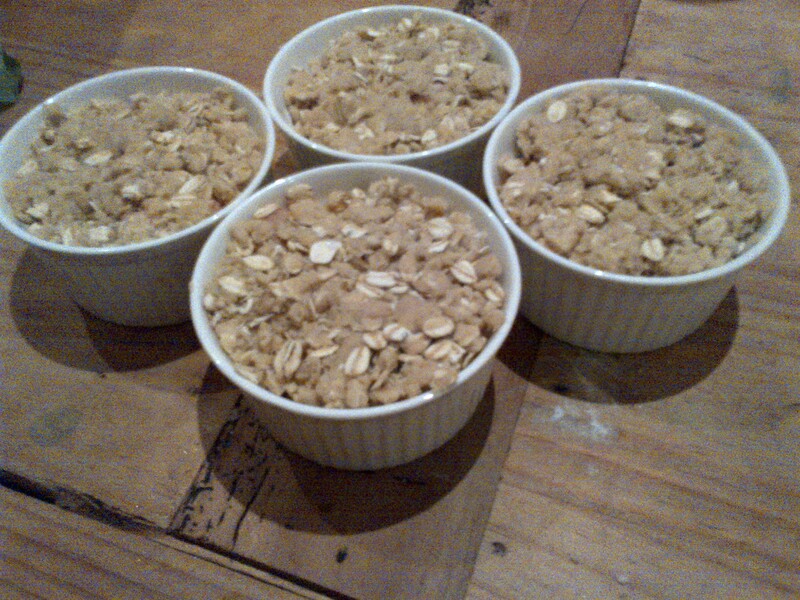 Divide the fruit between 4 ramekins and top with the crumble mixture. Pop into a 180C oven for about 20-30 mins until the top is crisp and golden and the inside is bubbling up round the edges. And that is literally it, all that needs to be done now is to serve them up with a nice dollop of vanilla whipped cream and you’re good to go. 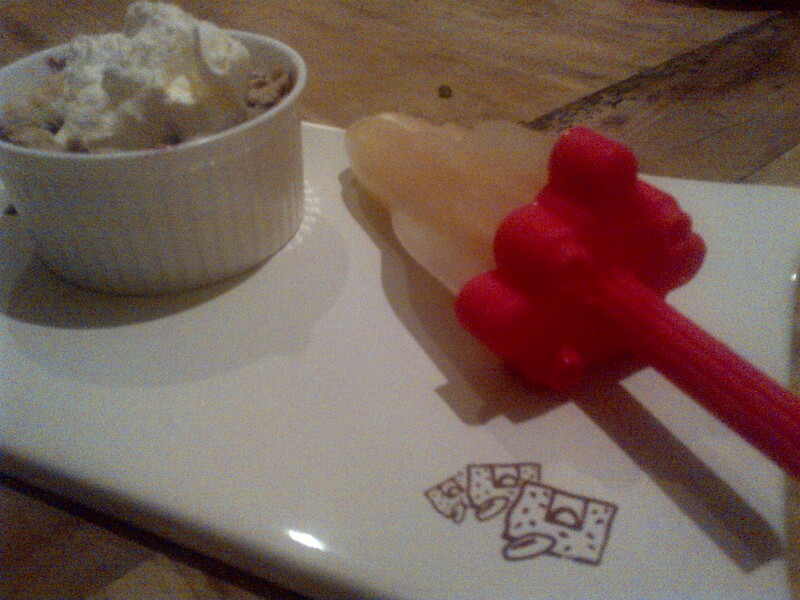 Now you don’t have to but i had just purchased some rocket shaped lolly molds so i had to try them out. 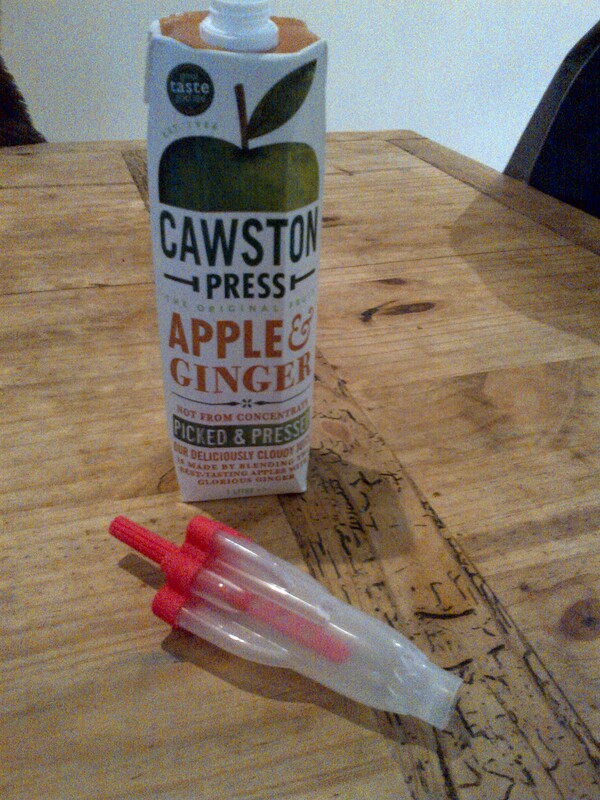 We happened to have some apple and ginger juice in the fridge so i just used that and hey presto, instant ice lolly. It wasn’t really necessary but it definitely added and element of fun to the dessert proceedings.